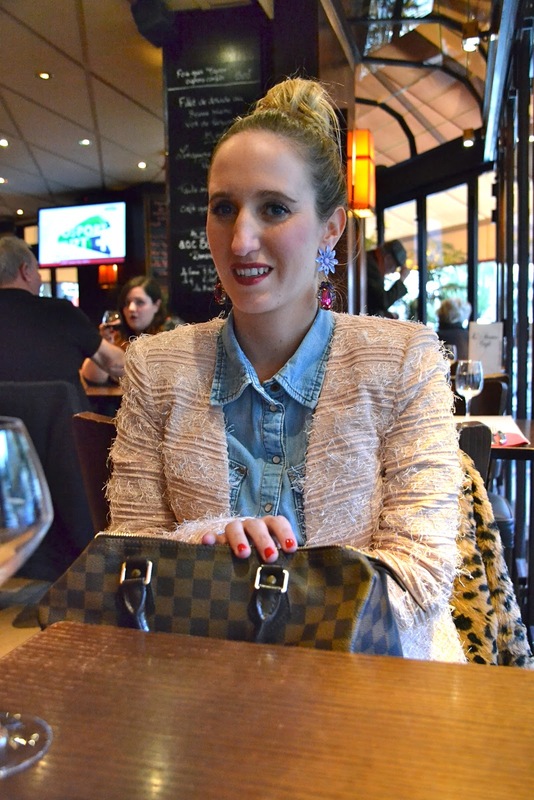 I really wanted to wear this pretty blazer because it a Chanel-like number that looks so pretty and fluffy ;-). Blazers like these are so easy to combine. I wore mine with a simple white shirt that has a sequined collar and simple jeans. This picture is taken at our hotel room. We actually could see the Eiffel tower from our bed! How amazing is that ! Something I always wanted to do .. I wanted visit a typical French Café :-). It was so cosy, I could stay until nightfall. 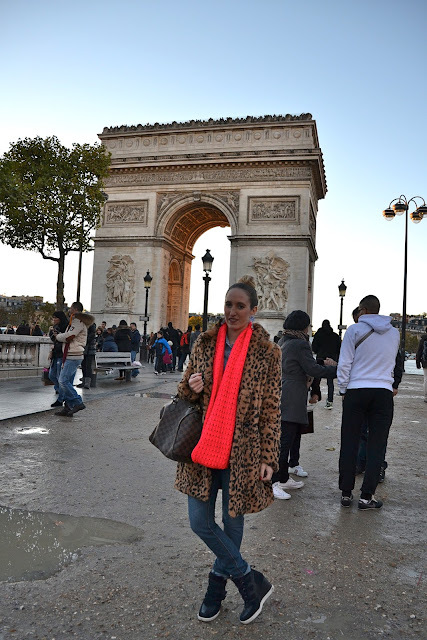 I truly love Paris ! 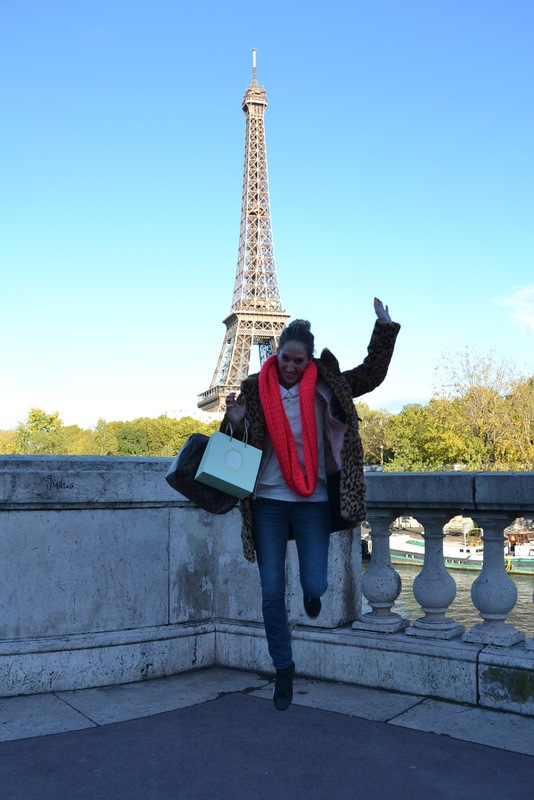 It really is the city of love .. and the city of shopping ! Never before have I been more tempted to shop like in Paris. All these great mega department stores like Printemps, Lafayette, Colette, ... they are like paradise. Tomorrow you will see a detailed blogpost about my beauty/make-up/hairstyle routine in Paris. amazing photos. You looked fierce girl !!! i really really don't like colette! ik denk dat ze het personeel verboden hebben te lachen! het enige wat ze moeten doen, is ervoor zorgen dat alle toeristen van hun collecties afblijven! nooit in mijn leven zo'n arrogante winkel gezien! jamais de ma vie dat ik daar nog een voet binnenzet!